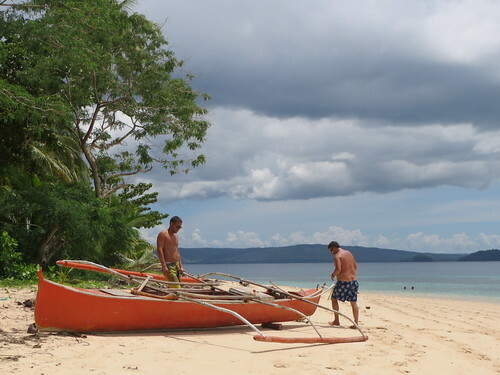 I came to Siargao in search of waves but the Turtle Surf Camp crew made other plans. 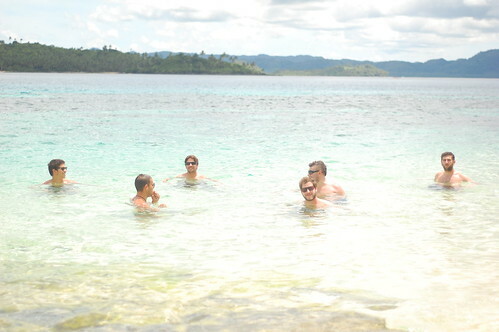 This time, instead of jumping into a blue lagoon, we were headed to a little known island: Casulian. It boasts of a beautiful white sand beach called Corregidor. I'm always in for unexpected adventure especially when it comes to lesser explored places. So I didn't pass up on this opportunity. We joined the Palaka Siargao Dive Center tour group with a few other guests and crew in tow. 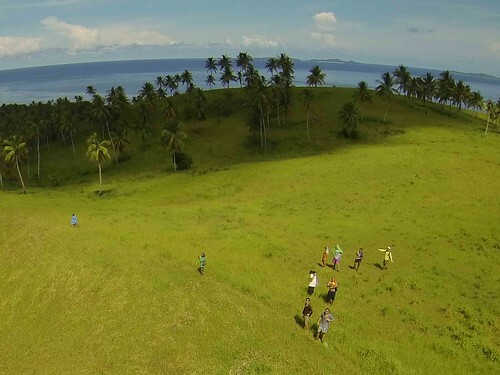 The plan was simple: swim, snorkel, eat, and watch the flight of a small unmanned aircraft (drone) to take aerial photos and videos of the island. It became a mission of sorts. Of course as soon as we docked on the island, all the guys jumped into the water. I was so enchanted by the island that I couldn't stop taking pictures. The sand was so white, the shore was pristine and the azure waters were definitely calling out to me! But I couldn't help but snap away. 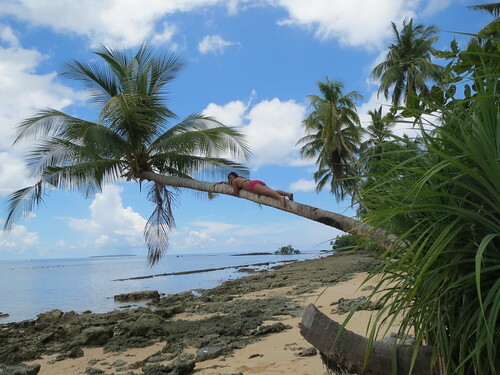 Who would have thought Siargao would have such gorgeous shores? 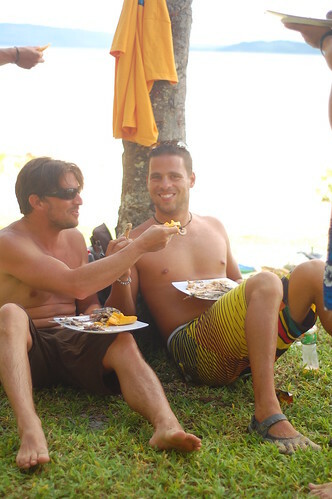 After an hour of swimming, chatting and simply lying on the sand, we were already starving. We were spared from having to catch our own fish and grill it ourselves. The crew had already prepared a delicious seafood feast for us! We were treated to some fresh kinilaw or raw fish with onions, spices and vinegar. It's a delicacy in most places in Southern Philippines. 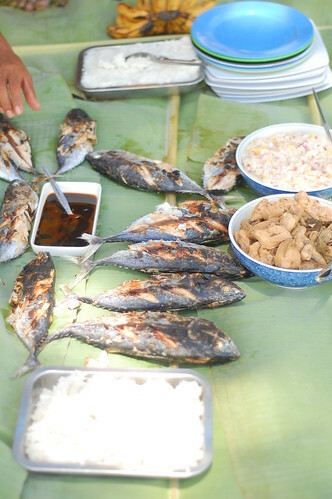 And we also had grilled fish, adobo and mangoes. Everything tasted so good! Nothing beats fresh food and a picnic on the beach! I thought it was time for another swim and a nap. 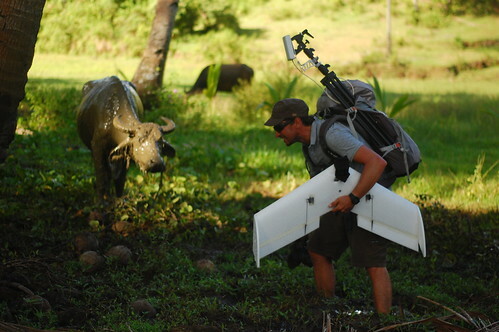 But Captain Ben, our UAV pilot, thought it was a good time to scout for a nice area to fly. Ben is a UAV flight instructor for Lehmann Aviation and this guy has traveled to places that I could only wish to see. He showed us photos of flying over fjords and waterfalls in Iceland, a fiery volcano in Japan and magnificent coastlines in Australia. 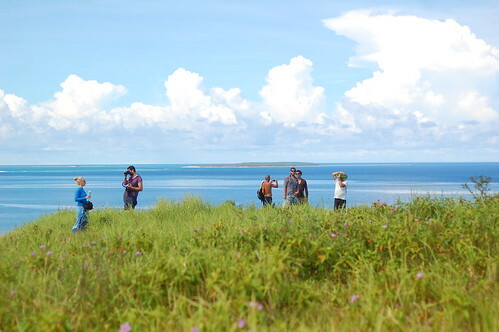 This time, he was so excited to shoot over Casulian Island Siargao! We went through the small town and over some hills that looked like a natural golf course. That's where he found a clear spot where he could do a quick takeoff and a neat little landing. The sun was pretty intense that day and we had clear skies and blue green waters surrounding the island. There could not have been a more perfect day to fly the drone and shoot! As soon as Ben started flying, we didn't care about the heat. We were all mesmerized- staring at this flimsy looking plane soaring like a bird in the sky! It went up so high at some point that it disappeared from our view. 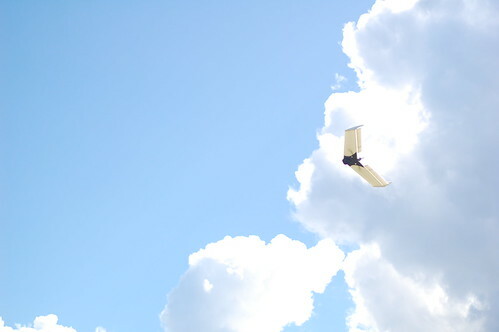 Ever so often, he would hit auto return and fly it back, simply hovering above us. 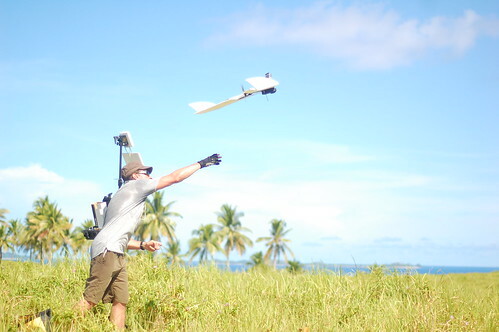 Then he would make the drone dive and do these insane low passes, barely missing a couple of coconut trees! What an amazing sight! After a couple of flights, it was time to head back to beach. We went down the hills, crossed a few streams and saw a muddy pool where some carabaos were lounging. Ben wanted a closer look and got stuck in mud and cow dung! 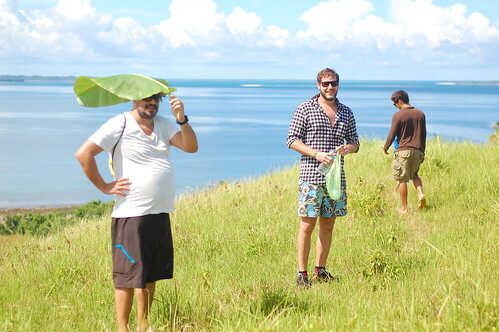 We were greeted back by some of the crew with buko- young coconuts. It was exactly what we needed after getting back from that hike feeling a bit tired and dehydrated. The sun had started to set by the time we got back to the boat. It bathed everyone in brilliant, golden light. 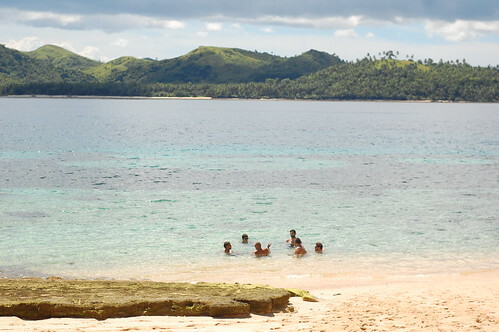 -Turtle Surf Camp Siargao offers the Corregidor (Casulian) Island Tour at 1,800/person. This includes the guided tour, boat ride, food and drinks. The cost goes down if you are in a group of 5 or more. -The tour covers a whole day of hiking to the mountain of Corregidor (don't worry it's an easy trek), swimming, snorkeling, visiting the local villages and lunch under coconut trees. 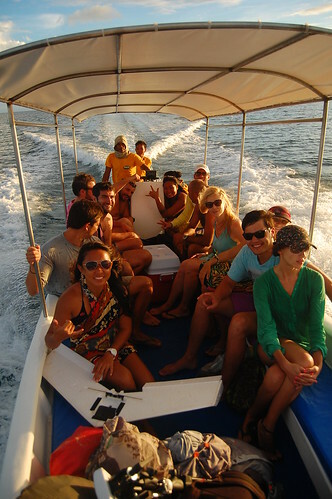 -There are a few dive and snorkeling spots in the area as well as a left hand surf break. -If you want your trip to be hassle free, I highly recommend you join their tour. We did and made bunch of friends in the process. Plus the fact that we were spoiled rotten. 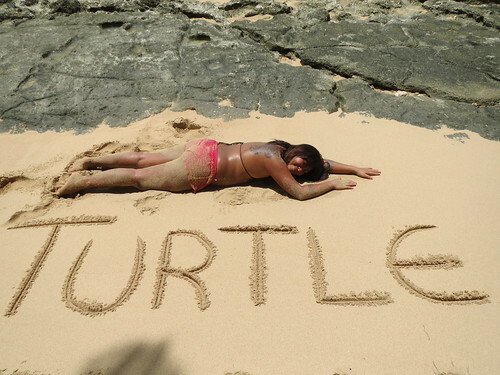 All Turtle Surf Camp trips have the fun and craziness guaranty! Book your tour with them through surfcampsiargao@gmail.com +63 939 569 2498. Look for Kitya or Enrique. 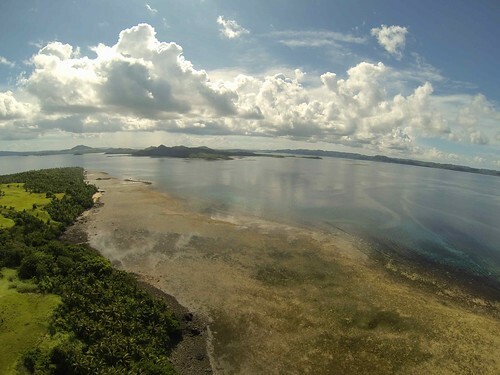 - Bring snorkeling gear, sunblock, mosquito repellent, waterproof bags and camera. Special thanks to Kitya and Enrique of Turtle Surf Camp Siargao, Damien of Palaka Siargao Dive Center for the tour and to Ben of Lehmann Aviation for the aerial shots and videos!